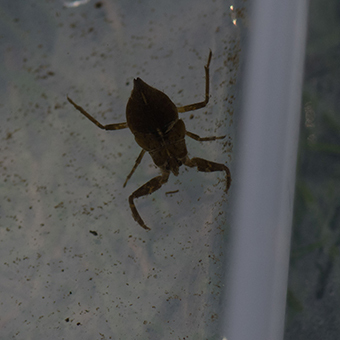 The Riverfly Partnership devised Riverfly Invertebrate Monitoring for Anglers to help conserve the river environment. 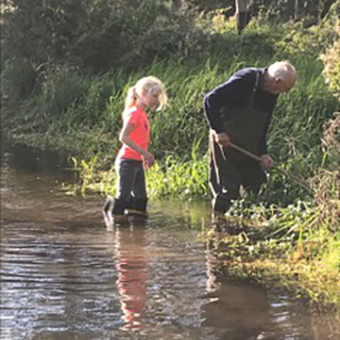 This is a form of Citizen Science in which trained volunteers monitor the health of rivers across the country regularly. 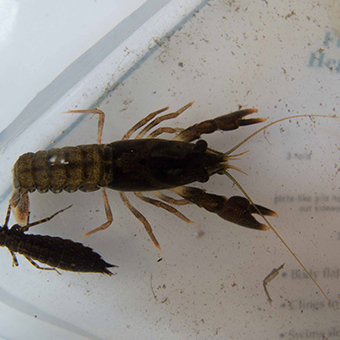 A small selection of river invertebrates, such as Caddis Fly Larvae, Mayfly Nymphs and Freshwater Shrimp, are caught by kick sampling for three minutes at a specified site. The numbers of each category are estimated for each site and placed into an abundance scale 1-9 =A, 10-99 = B, 100-999 =C and over 1000 = D. These are then sent into the Ver Valley Society River Co-ordinator once a month, so that a spread sheet can be completed and sent to the Environment Agency. Each site has set a trigger and if the sample falls below this trigger another sample will be required. If it is still below the trigger this indicates contamination of the water and the EA will decide whether further investigation is required. The data provides a seasonal baseline of the biological quality of the river which can be used to monitor change. 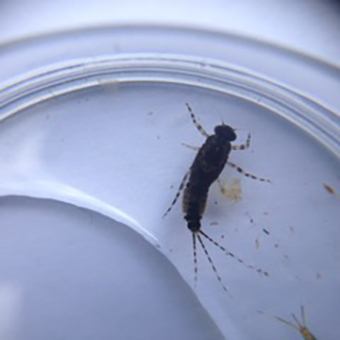 At present the Ver Valley Society has eleven Riverfly Monitors sampling at eighteen sites, from the confluence with the Colne (Bricket Wood) to Luton Lane (Redbourn). There are a few more sites we would like to monitor along the Ver and to set up at least two sites along the river Red (Redbourn). 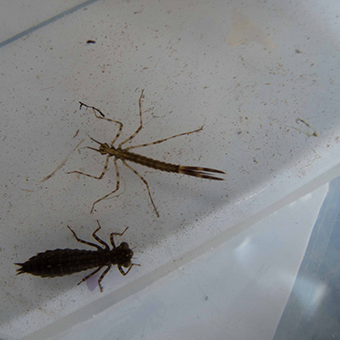 If you would like to be trained to sample Riverfly along the Ver we can arrange training. 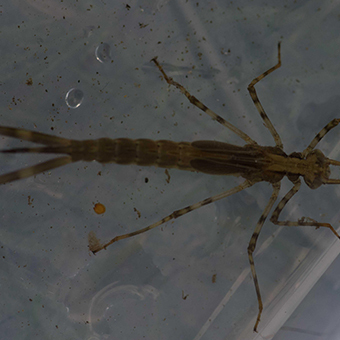 Please contact Sue Frearson (Ver Riverfly Co-ordinator). Further information can be viewed at the Riverfly Partnership’s Website.